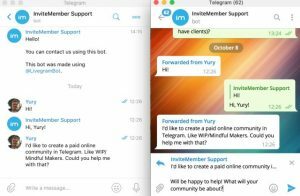 Telegram app: The underrated, yet safer and encrypted digital marketing tool every business makers must consider! Cyber network security has become a huge anxiety for not just the Gen Y and Z, but also for business makers as well to protect their company or clients information. The prime concern that every marketer has is to protect trade secrets such as R&D data or product designs that are yet to be launched, clients’ sensitive information such as attorneys protecting clients’ confidentiality rights, journalists’ news leads content, even political conversations among activist and also governmental bodies themselves, and finally, bank account information for every users. SNS channels like Facebook or messenger apps like WhatsApp did not feel secure enough, though WhatsApp has end-to-end encryption from third party users. 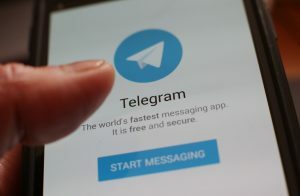 Although Telegram app is a cloud-based messenger app, but it has the features which the business sectors are lacking of these days, considering that every app downloaded has security issues whereby it is easy for hackers to override the security features and gain unauthorized access to company information, because of lack of high-end encryption knowledge base and also the networking development in this aspect. This is why some companies get hacked in their websites, and even some clients’ sensitive information is being exposed illegally and unethically. The thing here is, Telegram app has almost the same features as WhatsApp messenger, or rather being said, a duplicated version of WhatsApp. 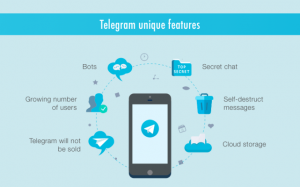 This is the main reason why not many knew about Telegram app’s existence and few to none are interested in downloading Telegram app. Even if some people have downloaded the app, yet the app is hardly being used due to the dominance of WhatsApp messenger. Definitely, WhatsApp is a tool that every marketer should consider as the marketing distribution channel, and not many marketers know the usefulness of WhatsApp messenger as compared to email marketing. 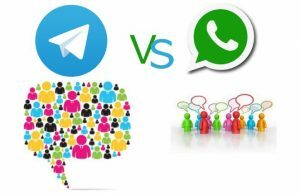 WhatsApp is extremely useful tool to send bulk advertisement messages and has more function than of email marketing, but then again, when comes to security features, this underrated Telegram app has out-beaten Whatsapp as well as the well-known Facebook, the SNS channel to communicate and engage actively with customers. 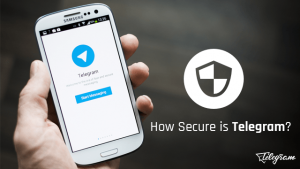 The preeminent part of Telegram security feature is that, users can create secret chats where only the employees or the clients, or the suppliers are able to access to the information shared. Not only so, when the messages are created under secret chat, the messages are not allowed to do forwarding, which prevents users to accidentally forward to the wrong recipients. Not just so, even the marketers can encrypt themselves and hide their phone numbers while sharing any links or files to customers, so as to prevent the target market recipients to know and connect to their numbers for privacy purposes. This feature also enables an ideal customer service and assistance-providing setup. 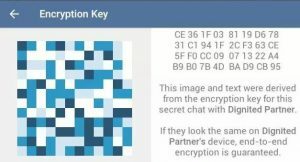 As a reminder, these secured one-to-one transaction features are not something that any messenger apps like WhatsApp or Wechat have, which makes network security as the USP (unique selling point) of Telegram. One more point for marketers to consider Telegram app as marketing option is that, the secret chats leaves no trace to servers, has self destruct timer whereby the chat history will be set at certain time to be erased for privacy purposes, and also prevents screenshot feature in secret chats. “Unsent” feature also allows deletion of messages within 2 days if a person wrongly sends messages not intended for the recipients chosen at the other end to read it, and at the same time allowing edit messages even after messages are sent. Also, Telegram requires the least application access permission as compared to other messaging apps. 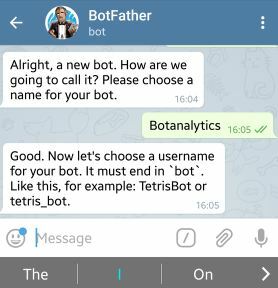 At the same time, this app is a perfect channel for creating automated chat bots as well, which is one of the elements of digital marketing requirements. For example, if an interested purchaser wants to find the outlet in which the product or service is being advertised, it enables the users on the other end to obtain the location and also give immediate feedback on the service provided by the company which has messaged the users, as chat bots has the feedback column designed for the customers to leave comments. Another advantage is that, online payments can be made, and for that, the customers’ credit bank information is also being encrypted during payment and pre-booking processes, which allows users to stay secure and enjoy customer service benefits from Telegram. Not only so, the receipt will be automatically shown before any payments are being conducted. Adding on, the chat bots also offer instant translation in the messenger itself. Then, it also has the trending bot column where the latest global searches from Facebook, Twitter to YouTube will appear at the suggestions list. If companies wish to do inbound marketing, marketers have the options to create a public or private channel, and marketers can upload the content links on the company websites or social media channels to gain followers and subscribers. In other words, anyone can join in the business channel just by accessing the links. Not just that, companies can create a private channel with private links so that only the ones who are given access permission to those private links can access to any information that is shared by the company, and also to stay in tune for any latest updates of the company, exactly like the privilege of newsletter subscribers. In contrast to Facebook marketing, Telegram enables customers or interested investors to enjoy the costless instant messaging feature, despite the amount of subscribers and content files sharing. This will be an extremely useful tool to generate leads and has high SEO potential for digital marketing sectors. Another exceptional trait of Telegram for marketers is that Telegram has high file sharing capacity, which enables 1.5GB file sharing feature regardless of any file chosen. This feature allows huge video file sharing which matches the function of Facebook page where companies can share video slideshows of the product features offered by those organizations. In other words, this feature gives the video marketing potential to Telegram app. Moreover, it also has a much cooler feature, where it enables users to create newsletters on Telegram as well, which is a call-to-attention for digital marketing sectors which require copywriters to do blogging. What makes newsletter uploading in Telegram even better is that the channels are placed under the same window as chats, which makes it easy for people to notice the updates the same way people get messages notifications. In other words, the newsletter updates are just like any incoming message notifications. This function also overrides the common newsletter functions where users can combine current posts using “Instant View” tool to get the loading to be “zero loading” timing, where people can just click on the update and immediately see the posted newsletters instead of going through the conventional newsletter receiving process. Last but not least, Telegram is definitely a safe way to reach out to clients and for clients to reach out to companies as well. 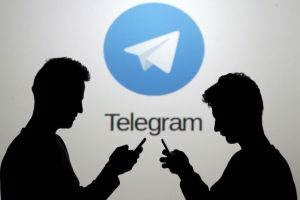 Note that Wall Street Journal has also reported in January 2015 that this marketing channel of Telegram app is so high in security assurance, that ISIS and other terrorist organizations labeled Telegram as the recommended channel of communication and manpower recruitments purposes. Even propaganda materials are encrypted whenever the ISIS members made any transactions, what more for the business zone who are concerned of protecting sensitive information? The only limitation to Telegram marketing is the knowledge of HTML coding expertise. Other than that, as long as secret chats are enabled, there is nothing for digital marketers to worry about or hesitate on further! To learn about how to Telegram marketing, do access the link below to download the learning materials on the Telegram marketing guide. If you would like to know more about our digital marketing service offers, please visit www.WaveEvo.com and we will ensure you the best customer experience with our team at Wave Evolution!